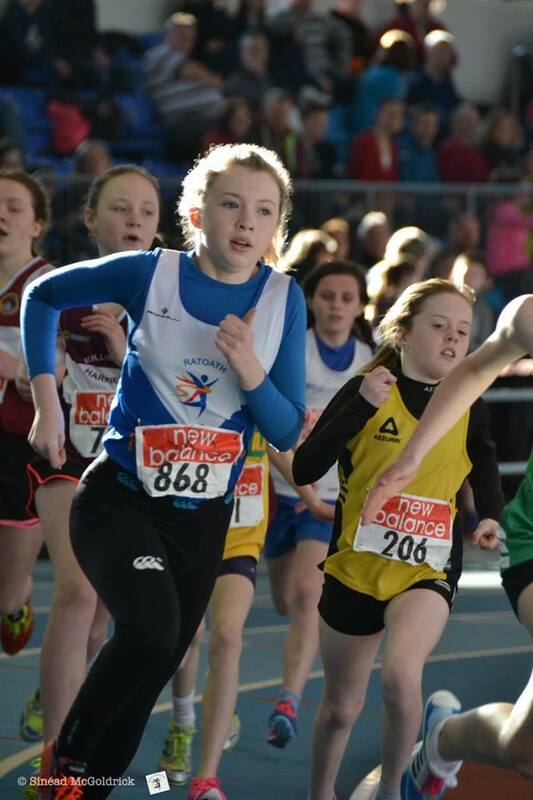 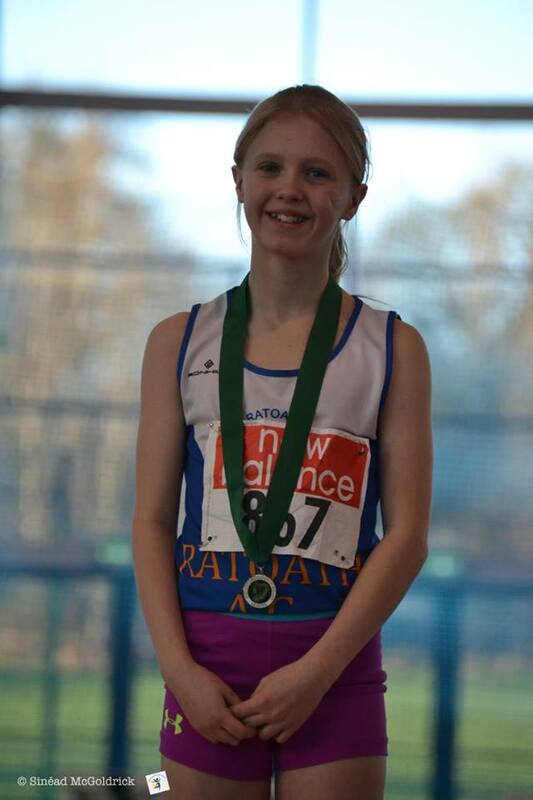 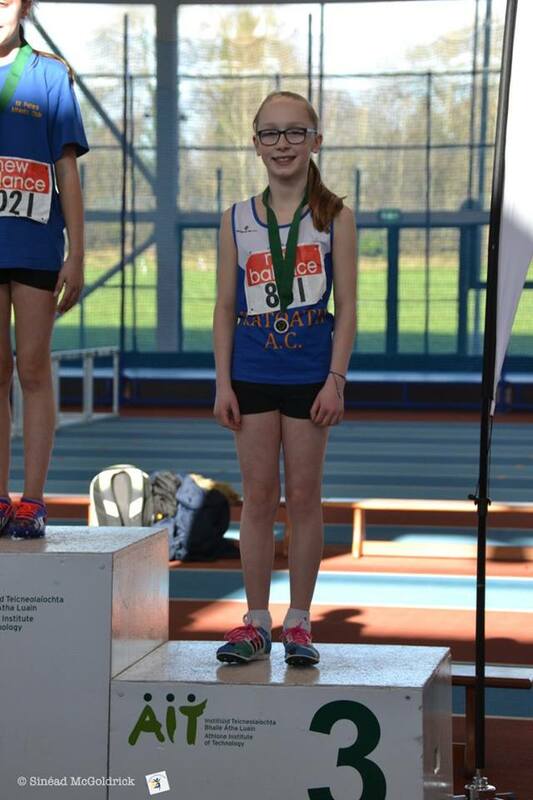 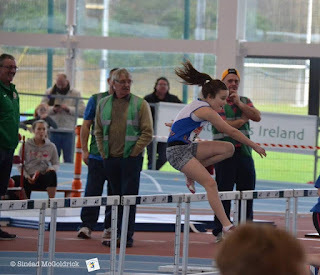 Our athletes put in some terrific performances in the Individual events over day 1 & 2 of the Leinster indoor championships which were held last weekend in Athlone, the u12 girls brought home 3 medals with Laura Kelly finishing 3rd in the U12 girls 60m hurdles, Sophie Quinn won the u12 girls 600m and Aishling Strarford placed 3rd in the same race with some great running from both girls. Sophie Greene, Niamh Murray also competed well for the club in the girls 60m Hurdles. 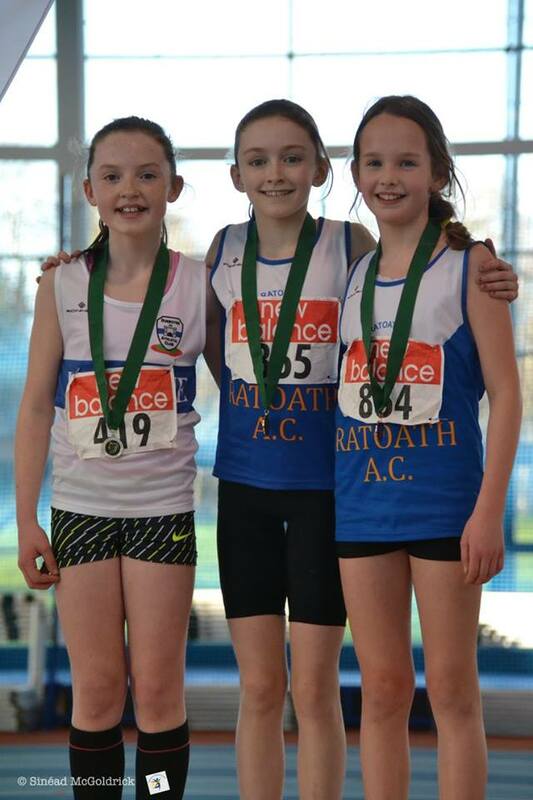 The u12 girls also competed well in the long jump, Sophie Quinn finishing 4th with good jumping also from Sophie Greene and Aishling Strarford. 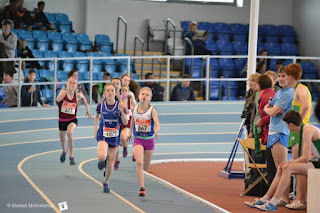 Aimee Doherty was up against it in very competitive u13 girls 600m event but did enough to hang on for the Gold with a confident gun to tape run. 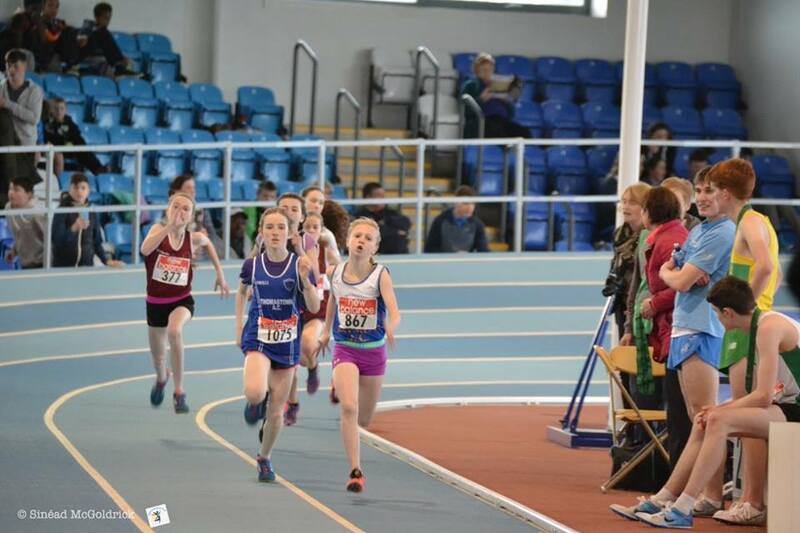 Amelia Campbell put in a great run also in her heat to make it through to the girls final where she finished 12th. 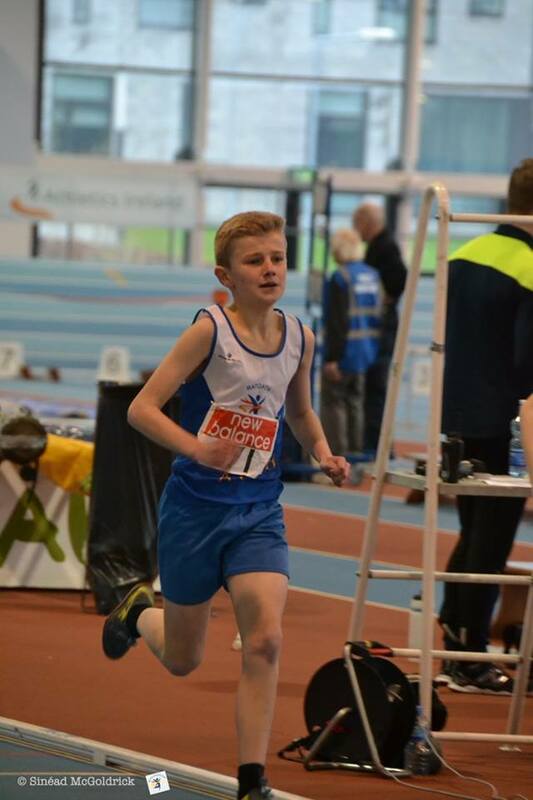 Fionn Drummond had a good run in the boys u13 600m finishing 2nd in his heat and running a new pb to finish 7th in the final. 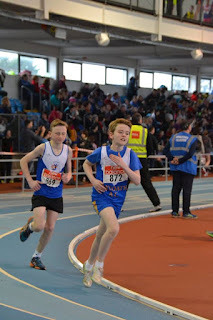 Fionn also finished 7th in the high jump and 11thth in the shot putt. 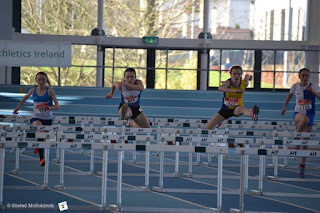 Lili O’ Connor was in good form finishing 2nd in the girls U14 60 Hurdles in a great time of 9.53s in a very tight finish. 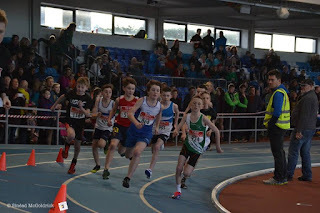 Oisin Kelly, Killian Strarford, Ciaran Rogers, Stephen Kiernan and Matthew Hayes all ran well in the boys u14 800m, Oisin qualifying for the final with a p.b. 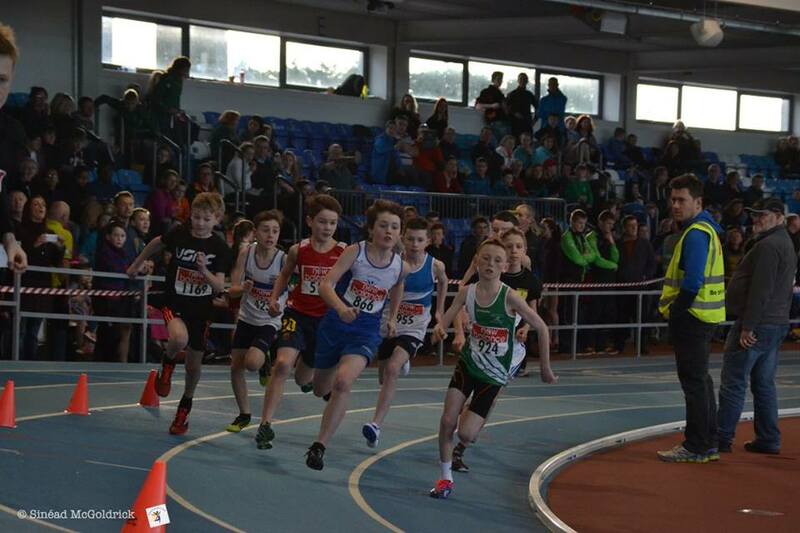 of 2:25s where he finished 8th. 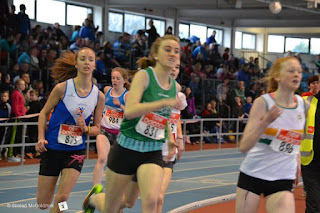 Karen Hayes ran a new pb also in the girls u16 800m finishing 7th. 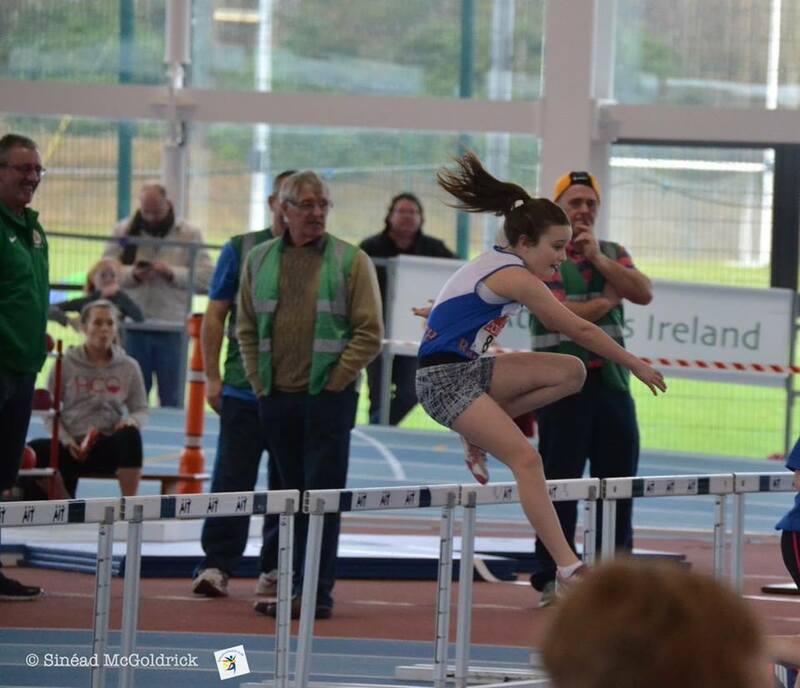 Well done to all of our athletes and best of luck to all who have qualified for Nationals in March.